Published on July 1, 2010 in Africa, Features, General T&T, International, Race and Identity and Sports. 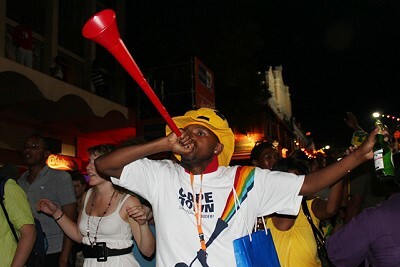 40 Comments Tags: Africa, African, Development, Selwyn R. Cudjoe, South Africa, World Cup. I don’t know who you are supporting for the World Cup but I have picked Brazil although Joel Villafana and some of the Wakka Wakka boys on Channel 6 are rooting for Argentina. When Trinidad and Tobago participated in the last World Cup my second pick was Brazil. Now that we are not there I have no qualms about supporting the samba magicians. As I marvel at the grandeur of the game and its international reach, I also rejoice at the marvelous job South Africans are doing to pull off this world event.